Historic churches are already some of the most gorgeous structures in the world. Recently, a select few have been turned into something even more beautiful — bars. Don’t worry, it’s not sacrilegious. These churches have been deconsecrated, so they’re simply regular buildings with stunning architectural designs at this point. The conversion is a win-win for both the churches and the bars. Official estimates list the number of church closures at around 4,000 a year, and new tenets are keeping the walls up and the doors open. Plus, conscientious drinking has long been a part of organized religion, and doing so in a beautiful location is all the better for the bar and the bargoers. Vaulted ceilings, high arches, and stained glass are what to expect when stepping into this former Roman Catholic church in Pittsburgh’s Lawrenceville neighborhood. 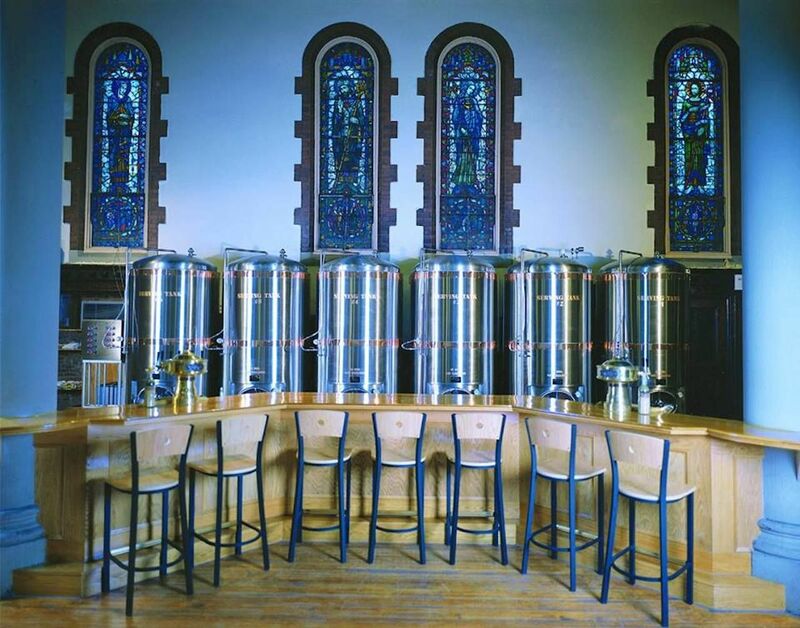 The building was originally constructed in 1902 and opened as The Church Brew Works in 1996 after extensive renovations. 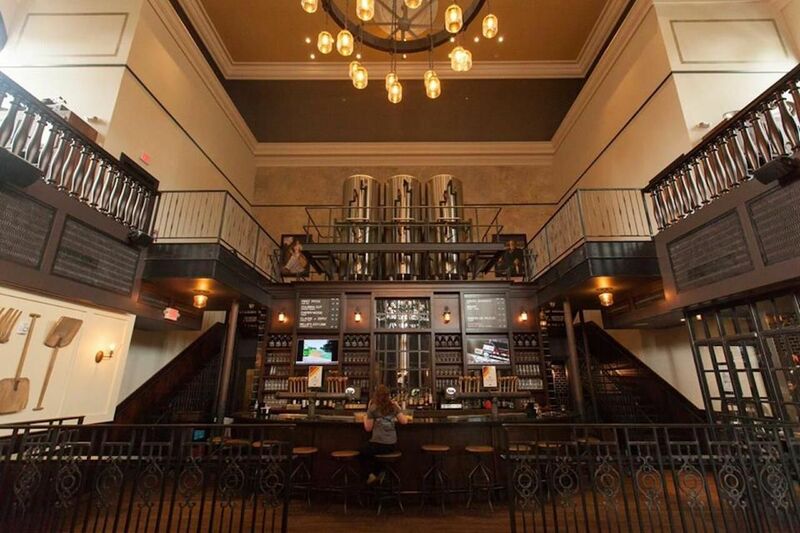 Inside, you’ll find a variety of brews — many of which are award winners — with cleverly themed names like Pipe Organ Pale Ale and Pious Monk Dunkel. The Church Brew Works is open for lunch and dinner and serves dishes like pierogies, ribs, and chicken and sausage jambalaya. Taft’s Ale House, which used to be known as St. Paul’s Evangelical Church, was once the oldest Protestant parish in Cincinnati. The church itself is a more modern structure with lots of wood and brick and a medieval-style chandelier in the center of the room, but it’s nonetheless a gorgeous place to enjoy a cold brew. Taft’s signature beer menu has a little bit of something for everyone, whether you want to go deep and dark with the Maverick Chocolate Porter or you have a hankering for Nellie’s Keylime Caribbean pale wheat ale. Bring your appetite for delicious dishes like beer-brined smoked wings, steak tacos, and a hickory smoked pulled-pork sandwich. St. Mary’s Church of Ireland was built in Dublin at the beginning of the 18th century, and when it closed its doors in 1964, it left behind stunning features like a Renatus Harris-built organ and stained-glass windows. It lay neglected for a number of years before it reopened as The Church in 2005. Now, it serves as a cafe, bar, restaurant, and nightclub with a large oval bar and two tiers of balconies overlooking the main floor. You can choose to drink in the large main bar, dance in the clubby Cellar, or host a private event in the intimate Tower room. This stunning space houses one of the most beautiful bars in New Orleans. 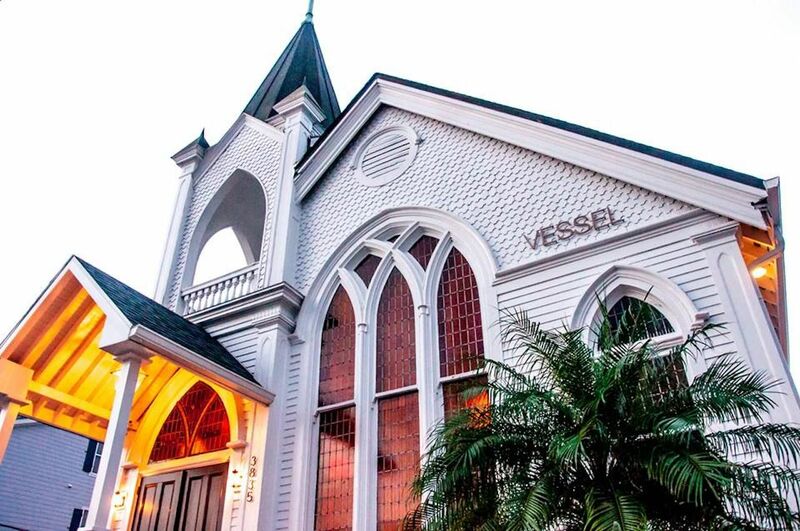 Vessel’s home is a 1914 church located in Mid-City that features a dramatic beamed ceiling, floor-to-ceiling windows, and a large outdoor patio for al fresco drinking. The cocktail menu is diverse and offers a number of classic drinks as well as signature creations, like the Tigers Pacing in a Cage, which is made with bonded rye whiskey, China-China, maraschino, pineapple, and lemon. Go for happy hour when classic cocktails are $6 and snack on small plates like crispy pork belly, and smoked Gulf fish dip. 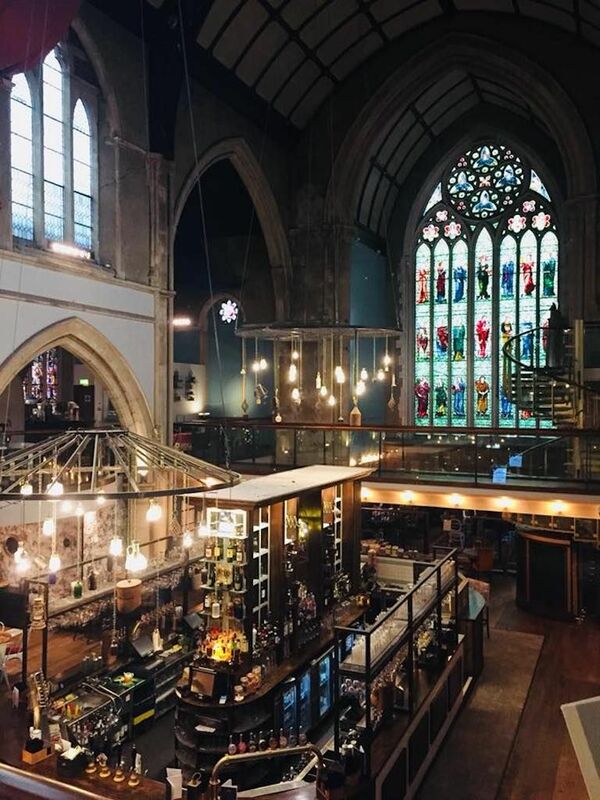 Pitcher & Piano has 18 locations throughout the UK, but the Nottingham venue is by far the most stunning. It’s housed in the former High Pavement Chapel, which served as a Unitarian place of worship from 1876 to 1982. Many of the original details have been preserved, so you can sit at the beautiful oval bar and admire the large stained-glass windows and stone arches. The drink menu at Pitcher & Piano is huge and features everything from classic cocktails to wine and beer. There’s even a menu dedicated to gin and tonics. Globally inspired food feeds hungry drinkers with dishes like chicken pakoras and a cajun buttermilk chicken sandwich. 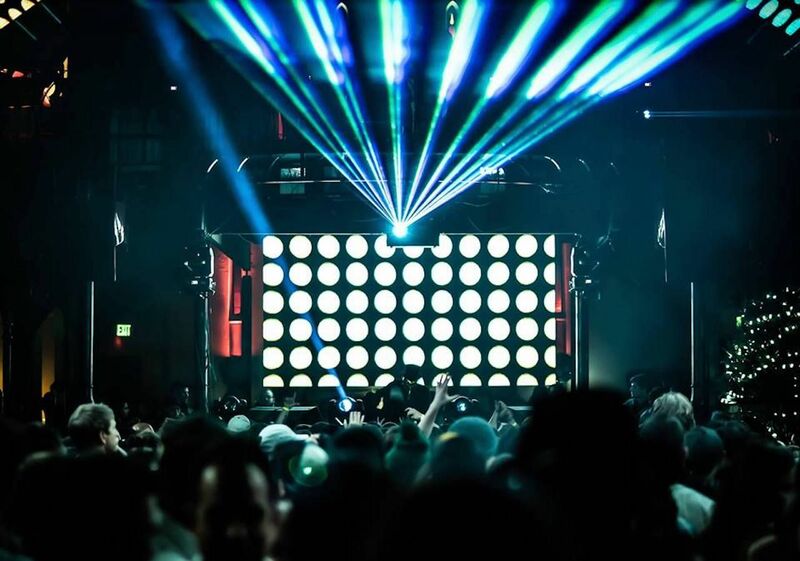 If you’re into the club scene, then this just might be the most beautiful place to get your dance on in the US. The former Episcopal church was completed in 1889 and served the Denver community for 86 years. 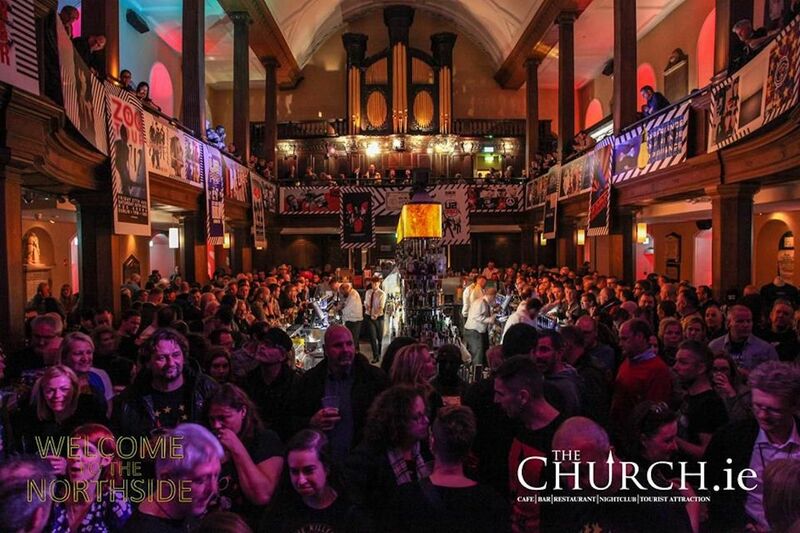 The Church Nightclub opened in 1996, and original details like high-beamed Gothic architecture and stained-glass windows are joined by state-of-the-art lighting and a Void Acoustics Incubus Sound system. The Church offers music for everyone, whether you’re into house, Latin, industrial, or dark indie and techno. You can grab your usual vodka sodas at the bar or opt to spend big with a VIP table and bottle service.